Nearly Free Stuff: FREE Pair of Designer Shoes!!!! Shoes and Handbags, if you are like most women you can never have enough so I was SUPER excited to hear about this deal from JustFab to score a pair of designer shoes or a handbag for FREE. Just follow the details below. 1. 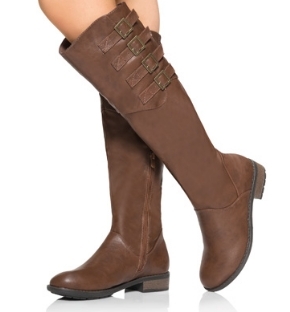 Go to JustFab and create your account (use this link to score 50% off your first pair). 2. Fill out your style profile (this is super fun). 3. Pick your pair of shoes or handbag (I think I am going to grab the boots pictured below), the 50% discount will be seen in your cart. 5. 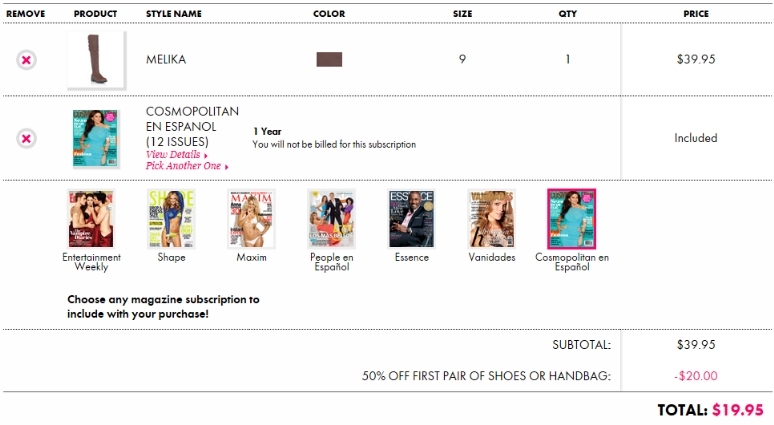 Pay $19.95 and then submit the rebate form to opt out of the Cosmo En Espanol magazine subscription making the shoes FREE after rebate. ***PLEASE note that you will be sent a pair of shoes every month if you don't cancel your membership. 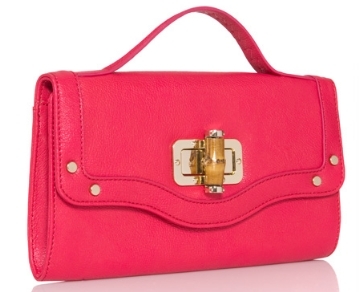 As soon as you shoes have shipped log into JustFab and cancel your membership. The cancel option is under the My Profile section.